For more than 10 years the Maternal Health Task Force (MHTF) has served as a forum for technical guidance and debate in the field of maternal health, highlighting the best science and policies around the world. It is an amazing platform and an exciting resource. In October of 2018, I had the great honor of becoming the Director of the Maternal Health Task Force in its new iteration. I thank Ana Langer and her team for their outstanding work, and for their unparalleled expertise and enthusiasm with which they established MHTF and a community around the world. I’d also like to thank Bethany Kotlar, the Center of Excellence Program Coordinator, who is now managing the project, for her hard work and dedication. The work to prevent maternal mortality and improve maternal health is certainly not over, although the last 10 years has witnessed remarkable achievements in maternal health. The maternal mortality rate has dropped steadily in most countries around the world, at a global average of 5% per year. Increased incomes, educational advances, and improved healthcare, especially higher rates of delivery with a skilled birth attendant, have largely driven this decrease. However, there is still a long way to go. Maternal mortality remains unacceptably high in many countries or regions, too often no skilled attendant is present during child birth, and many family planning needs go unmet. Another depressing development is the dramatic lack of progress and even decline in maternal health in the US. Not only did maternal mortality increase in the US in the past 10 years, but other indicators such as women’s suicide rates have also risen against the global trend. Given the advent of a new chapter at the MHTF and the growing maternal health issues in the US, it is time for a careful shift in the direction of the MHTF’s efforts. First, we will move away from any particular regional focus in the research articles we select for our audience. From Sub-Saharan Africa to the Appalachian, few problems are unique to women in low or high-income countries. Women in many, if not all, parts of the world suffer from discrimination, poor access to health facilities, and lack of evidence-based care. Low and middle-income countries have witnessed the rapid advent of several non-communicable diseases such as obesity and diabetes. Similarly, in higher-income countries the seemingly opposed issues of inadequate care and overtreatment contribute to setbacks in progress against maternal health. For example, low income women of color often face inadequate and discriminatory care, whereas the high C-section rates evidence over-medicalization of childbirth in both middle and high-income countries. Our focus moving forward must be on the shared burden of these worldwide trends rather than any contrived distinction between regions or nations. Most importantly, I would like to begin this new year with a new vision for the future of the Maternal Health Task Force. 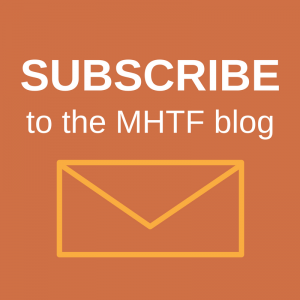 My vision for MHTF is a space that not only identifies and shares promising research, but serves as a catalyst for research improvement and innovation. In order for this vision to be achieved, we must complete two important steps. First, with the full understanding that the Harvard School of Public Health is not and cannot be the sole judge when it comes to the quality or importance of maternal health research, I will seek to involve other scientists in the decision-making process of research we disseminate, such as the Maternal Health Buzz. While many may not be interested in the inner workings of our selection process, I believe that transparency and inclusion should be the essential guides of our work. 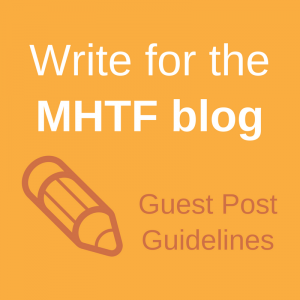 Second, in its new iteration, MHTF must continue to be a platform for discussion in the field, especially when it comes to research focus and methodology. While my team and I may facilitate this discussion, it is the task of the many competent professionals in the field, especially those on the frontlines of maternal health work, to direct this conversation. We will continue to include others’ research and voices in the Maternal Health Blog and explore new ways to cultivate this discussion through social media and other platforms that are as inclusive as possible. I hope you are as excited by these new directions for the MHTF as I am. I look forward to our continued work together and thank you for all you have done to improve the lives of mothers worldwide. If you have suggestions, questions, or comments, please do feel free to write us at mhtf@hsph.harvard.edu.